People buy the Samsung Galaxy S7 edge not just for its features, but quite often also because this is a very attractive device - thanks in no small part to its dual curve display. Many S7 edge owners may be reluctant to purchase a protective case for the phone, since cases can change a device's aspect quite a lot (usually not for the better). However, there are some stylish cases out there that actually look nice and suit the Galaxy S7 edge. We've gathered some of the best such cases in this article, so check them out below (listed in alphabetical order). 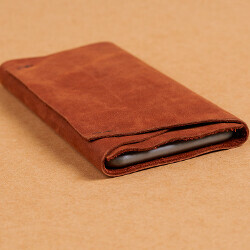 The Icarercase Business Series Vintage Genuine Leather case is a folio flip style accessory. 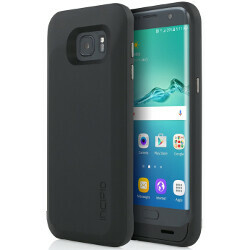 It covers your Galaxy S7 edge almost completely for effective protection, yet still offers quick access to ports, speaker, rear camera, and earpiece. The case can be bought in black, brown, and red (just make sure you're getting the S7 edge model, not the one for the regular S7, which is smaller and obviously doesn't fit the S7 edge). Spigen is one of the most famous case manufacturers out there, so it's no surprise to see that it's got a stylish case made especially for the Samsung Galaxy S7 edge. Called Spigen Thin Fit, this is a discrete, yet solid case that's available in black, mint, and gunmetal. The case will do a good job at protecting your S7 edge against scratches and drops, but it's obvious that the edges of the phone's screen remain vulnerable. If you want a protective case that doesn't really change the original design of your Samsung Galaxy S7 edge, and doesn't add too much bulk to it, check out the Vena Retain. Made out of a scratch-resistant transparent material (a combination of TPU and polycarbonate), the Vena Retain case features anti-shock corners and raised lips to protect the phone's rear and front, though the edges of the curved display remain a bit exposed. This VSR Design Single Fit case isn't transparent, but it fits perfectly on the Galaxy S7 edge, almost fully wrapping around the phone (however, once again, the curved edges look vulnerable). The case has its own metallic buttons that provide instant tactile feedback, and comes in a variety of good looking colors: blossom red, ice mint, phantom black, smokey gray, and snow pink. The Vintage Series PU Leather case from X-Level does indeed have a vintage look (as its name suggests), but it's not exactly made out of real leather: PU leather means split leather covered with a layer of polyurethane. Still, the case looks and feels nice, while also being pretty durable and not too expensive. 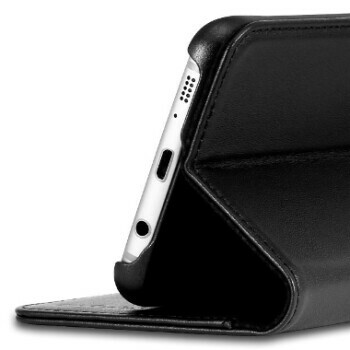 26 July 6 great leather cases for the Samsung Galaxy S7 edge Placing some kind of protection on your smartphone has become a non-negotiable decision for most users nowadays. Maintaining the device scuff- and tear-free will keep its resale value up, provide eye candy for its owner for longer, and, most importantly, ensure that it's working properly. Small drops may have not been an issue with the good old, plasticky Galaxy S5, but the glass-and-metal sandwich Galaxy S7 and especially its curved compatriot, the S7 edge, just scream “protect me” with their shiny, smooth build materials. 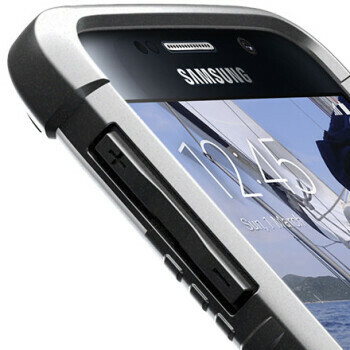 22 July 5 great battery cases for the Samsung Galaxy S7 edge There are plenty of cases out there to protect your Samsung Galaxy S7 edge and if you care about defending your device against accidents, you probably have one. But now that Summer is here, we spend lots of time outdoors, and many of us play that new game — Pokemon Go, we think it was called — the issue of running low on power might be coming up more often than before. 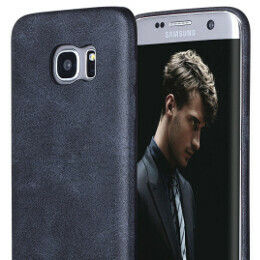 That leather case looks pretty nice. I think I'll pick one up. Thanks Florin. Really are these ones the best stylish cases for the Samsung Galaxy S7 edge ?????? This information is completly wrong. What about Piel Frama cases???? or Vajacases ???? Phonearena´s peaple are NOT being objetive in the most of their materials posted !!!!! Fashion is inherently subjective. It's kind of odd to state that someone's aesthetic tastes are right or wrong, as if there is truly a correct answer.